I love pasta because of how versatile it is. You can add anything you can think of to it (meats, vegetables, etc.) and come up with something delicious. Depending on the dish, it can be served hot or cold. There are so many wonderful variations of pasta that you can never get tired of it. My toddler son is a very picky eater and barely eats anything. However, if you put a bowl of spaghetti with tomato sauce in front of him, he'll come for his next bite without me having to chase him down. 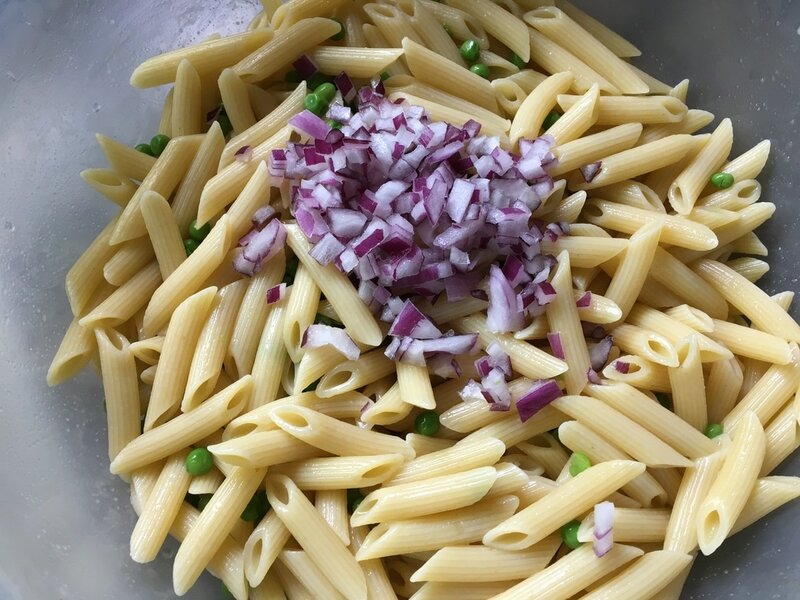 This is a very easy pasta salad recipe that I picked up from one of my brothers. I added a few ingredients to kick it up a notch and it did not disappoint. It serves as a wonderful side or as a dish for a party. The special ingredient? Creamy Caesar Dressing. Make sure it's the creamy version and not just regular Caesar dressing. It makes a huge difference. 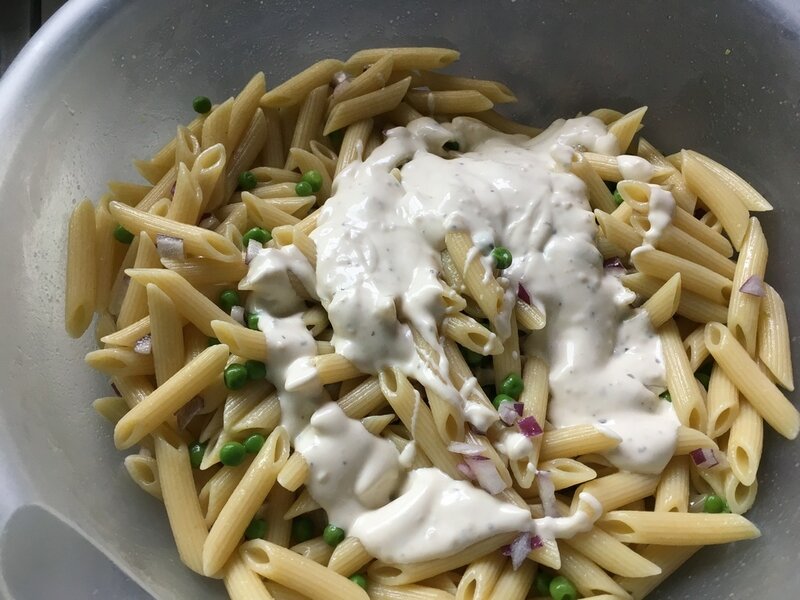 I hope you give this simple pasta salad a try and let me know what you think! ​1. Cook pasta according to package directions. Lightly salt the water and add about 1 tbsp. of vegetable oil to the water before adding in the pasta. 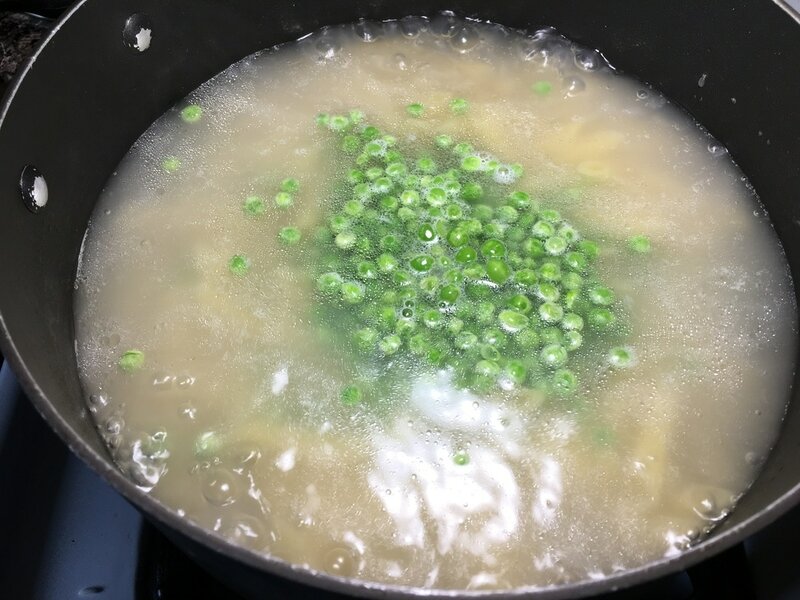 When there is about 3 minutes left in the cooking time, add in 1 cup of frozen sweet peas. Avoid the canned version because they have a different taste to them. 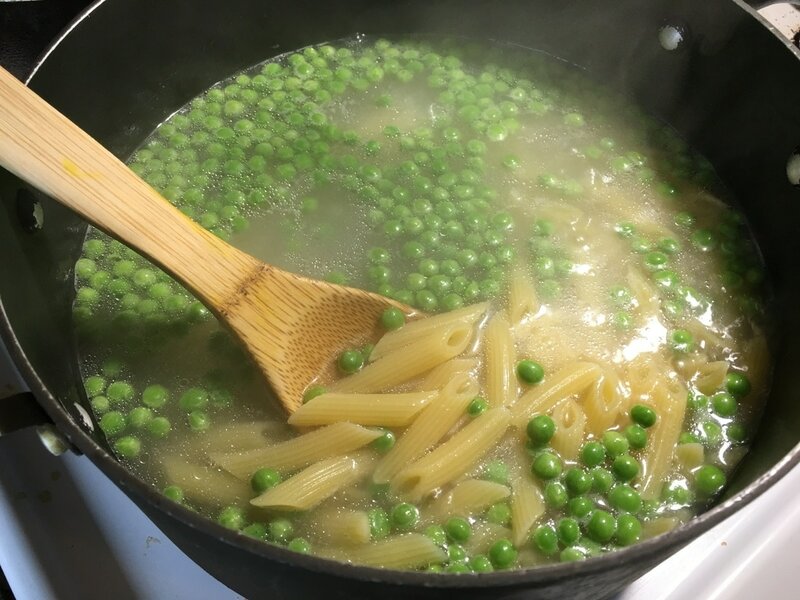 You may have to cook the pasta an additional 2 – 3 minutes since the frozen peas may drop the temperature. Check to be sure the pasta reaches your desired tenderness before draining. ​2. Meanwhile, dice an onion (I chose red for the additional pop of color, but any of your choosing will work fine). 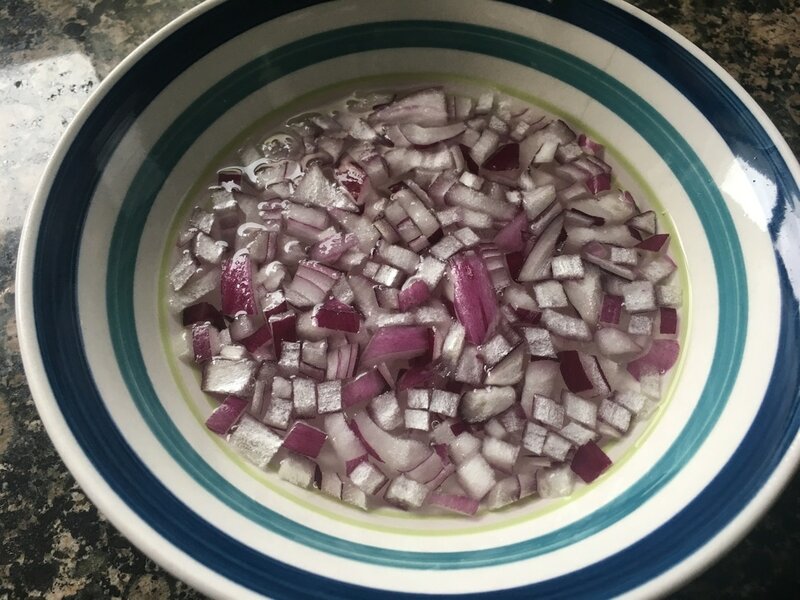 Place the diced onions in a bowl of water for about 5 minutes to cut down on some of that strong raw onion taste. 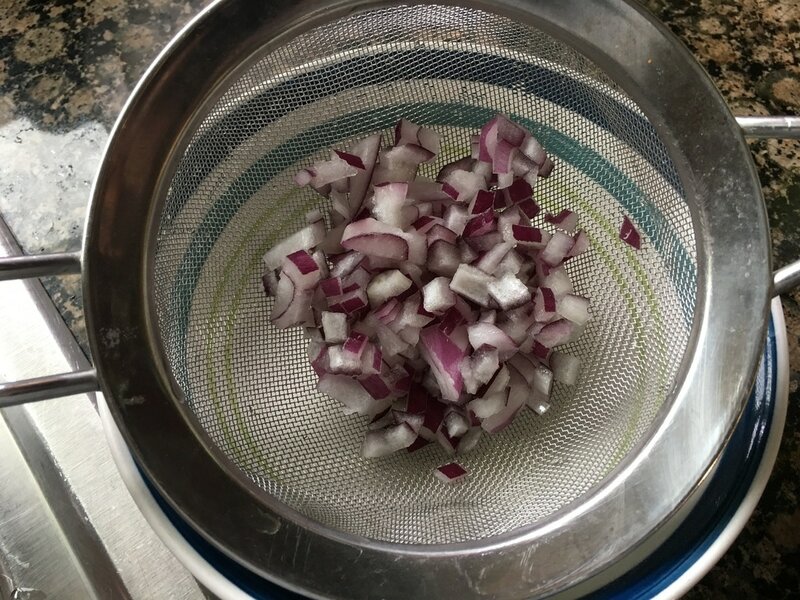 Drain the onions and set aside. 3. 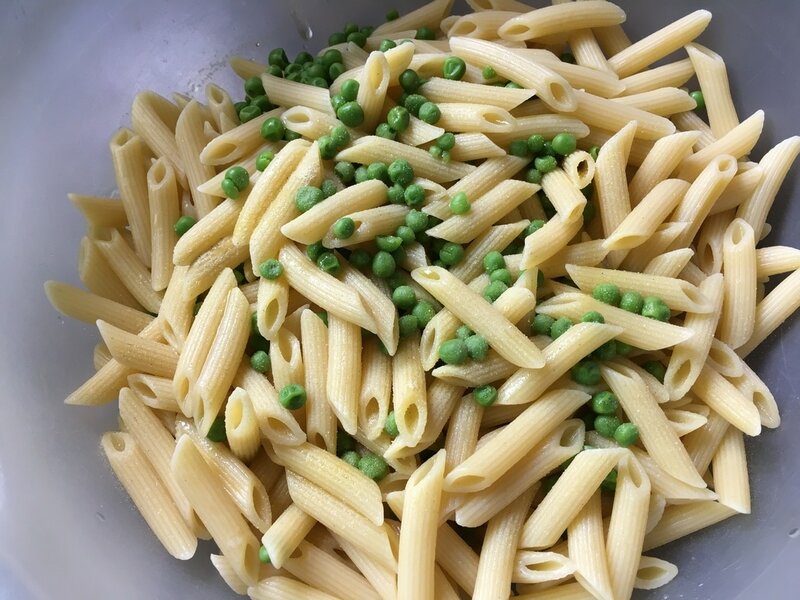 Drain the pasta and peas. Pour cool running water to cool down the pasta just a little bit. Let it remain slightly warm. 4. 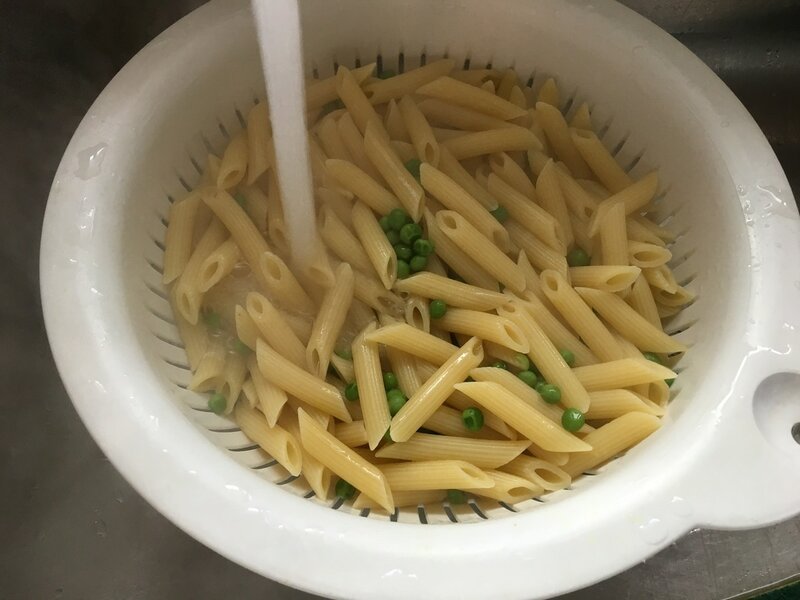 Transfer the pasta into a large bowl. Add in 1 tbsp. of extra virgin olive oil and ½ - 1 tsp. of Goya Adobo. Mix contents thoroughly. 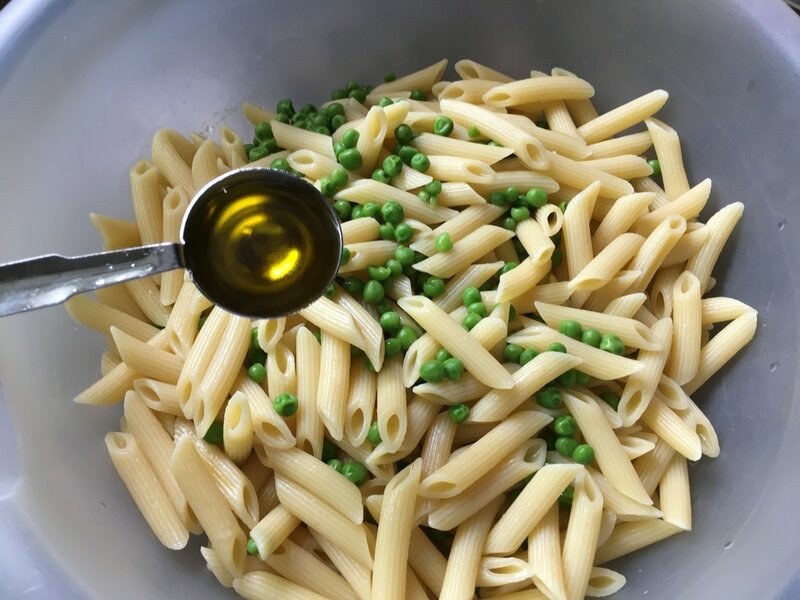 The olive oil helps to keep the pasta from sticking together, especially if you aren’t going to serve this immediately. ​5. Add in the diced onions and mix thoroughly. 6. When you’re ready to serve, pour in some creamy Caesar dressing to your liking and combine well. I used about ¼ - 1/3 of the bottle. Keep in mind, if it sits for a while, the pasta will absorb the dressing and become slightly dry. Just add in more dressing when serving for a more creamy texture. 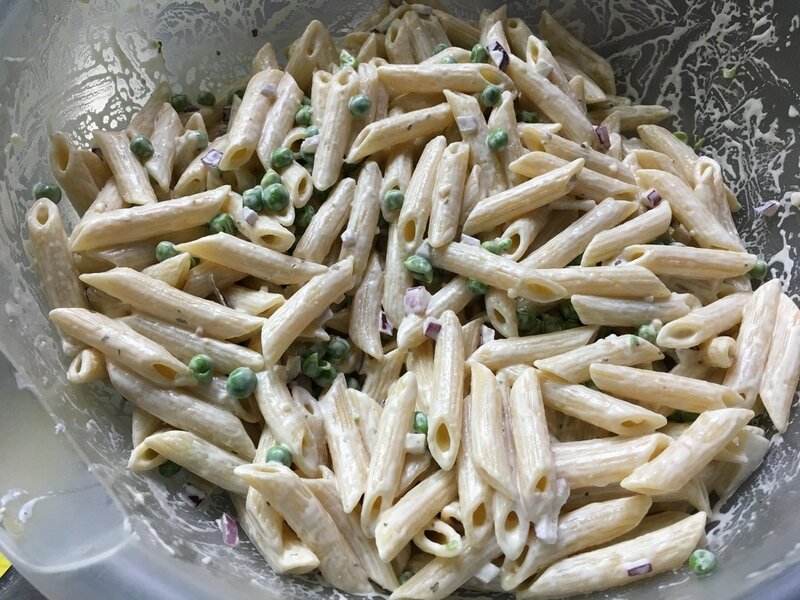 The Caesar Pea Pasta Salad is ready to be enjoyed. It is best when served immediately. What do you think of this recipe? 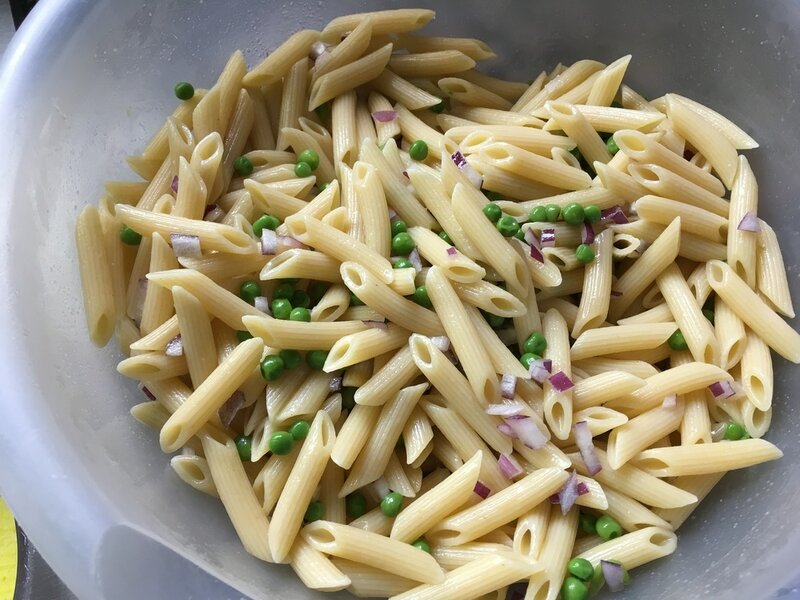 What other types of pasta salads do you enjoy?